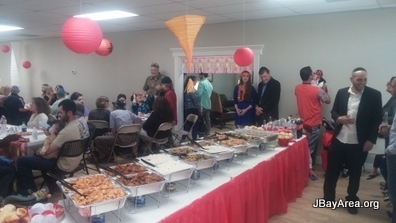 The joyous, festive mood was palpable among the huge crowd who turned out to celebrate Purim in China - which was this year's theme at the annual Chabad Bay Area Grand Purim Dinner. From the delicious kosher Chinese dinner, to the special edition game of Purim Balderdash, multimedia Megillah reading and even a bit of late night spontaneous dancing, a great time was had by all! Full Purim photo album will be posted on Facebook after Shabbos. Don't have Tefillin? Not sure how to do it? Don't worry, we'll help you out! Pre Passover Class: Decoding the Numbers! The story of the Exodus and the observance of Passover are full of very specific numbers: 3 matzahs, 4 questions, 4 sons, 4 cups, 10 plagues, 8 days, 40 years, and on. Join us as we plumb these numbers and discover their profound inner significance and deeper personal messages. The class will also include a Q&A on some of the practical aspects of Passover observance. JKids - "The Great Hamantaschen Bake! "- This Sunday! This Sunday, JKids gets together for "The Great Hamantaschen Bake!" Kids, try your hand at baking your very own Hamataschen, filled with all kinds of fun fillings! There'll be plenty of the usual JKids fun, games and prizes! The Jewish Course of Why wrapped up this week at Chabad Bay Area. Our large group of students had a great time exploring 50 fun, fascinating and informative questions on Jews and Judaism. Exploring six intriguing, disturbing, and controversial biblical personalities and events from the times of the Prophets. Offering a snapshot of the first Jewish commonwealth, an era that lasted nearly one thousand years, we will probe these enigmatic personalities within their historical and sociological contexts, allowing us to reach deep into the essence of who they were and events that shaped their lives. As we go about our investigative journey, we will also discover timeless answers to our innermost questions about life. Grand Purim Dinner - Time to RSVP! We are still looking for a few more sponsors to help cover our Purim events as well as the upcoming Community Passover Seder. Please consider joining in and partnering with us in making these quality programs available to as wide an audience as possible. A donation of any amount towards these programs will make a real difference and be sincerely appreciated. You may submit your sponsorship online, call/email Rabbi Schmukler at 281-724-1554 / rabbi@jbayarea.org. The first of the Purim observances is the Fast of Esther which commemorates Esther's request to have all of the Jewish People fast for three days before she would risk her life and approach the King Achashveirosh with her request to save the Jews. Also known more coloqually as "Shalach Manot/Monos", this Purim Mitzvah involves sending a gift of at least two food items to another Jewish person sometime during Purim day. This Purim Mitzvah is fulfilled, also on the day of Purim, by giving generously to poor people (can be directly or through an organization that helps the poor). 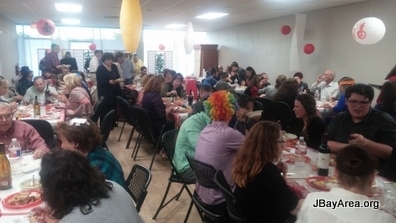 Enjoy a festive Purim meal on Purim day. One should try to include bread ('Hamotzi') in this meal, since traditionally that is a distinguishing difference between a meal vs. a mere 'snack'. This is also the time to enjoy the extra wine that Purim is so famous for! 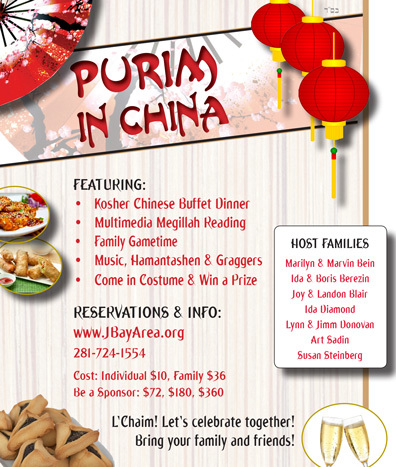 Join our grand Purim Party: 'Purim in China' to enjoy the Purim Feast in all its glory! Advance RSVP kindly requested: click here for more info or to reserve.